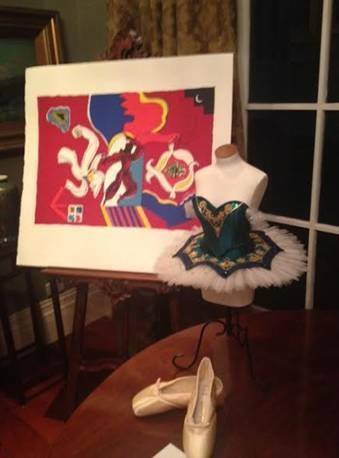 One of our Mini Dressmaker forms for Royal NZ Ballet they make mini tutus and auction off at a fund raiser they almost raiser $17,000 on the night. 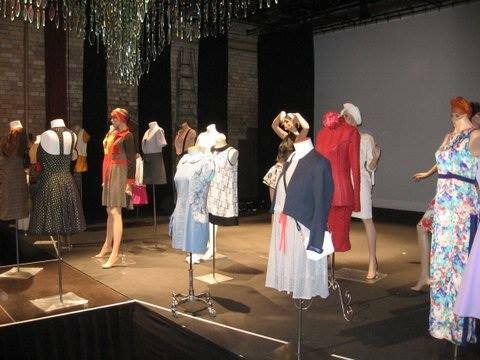 Purfex mannequins looked absolutely fabulous on stage at The Pumphouse theatre as part if the Inspire static display. 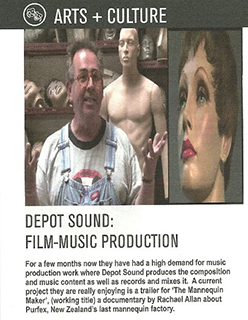 Many thanks to Glen who generously loaned them to help raise funds towards the new toilet renovation. 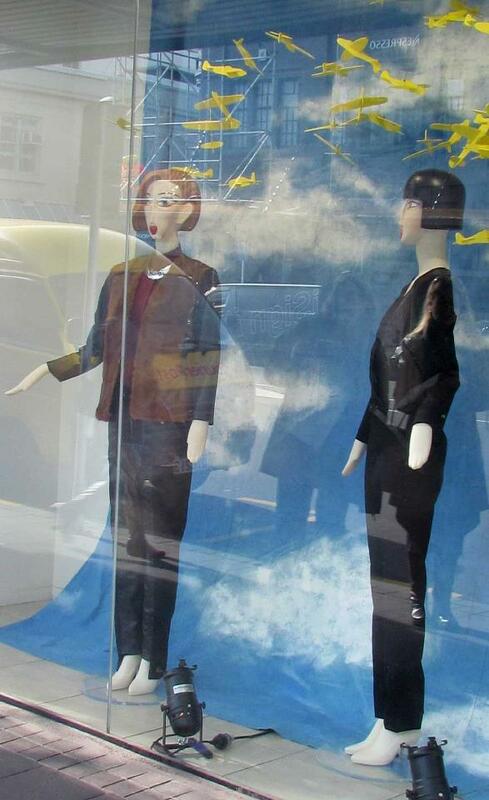 Gaga and Coco – the mannequins used in Erin Balle’s winning window titled ‘Airbourne’ – winner of the Whitecliffe College of Arts and Design Window Display Project. 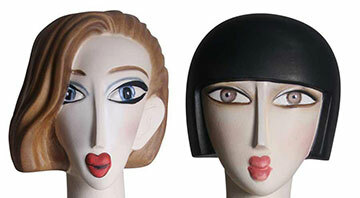 Naming the mannequins one of the cool things about having your own mannequin factory Coco is named for Coco Chanel and Gaga is named after Lady Ga Ga, Erin Balle and Coco Chanel. One of our clients recently had us custom covered their Tailors Form in this fabric – a fabric they supplied – and we think the result is really effective. 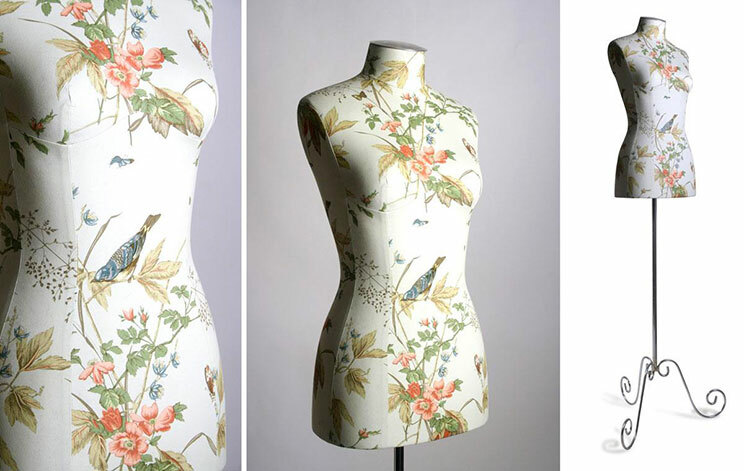 A classic fabric that works well with something as iconic as a dressmakers mannequin. 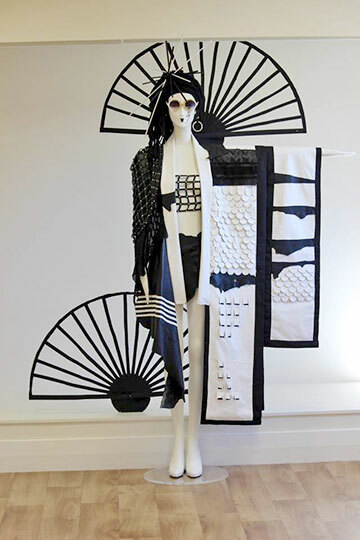 Erin Balle’s winning window titled ‘Airbourne’ – winner of the Whitecliffe College of Arts and Design Window Display Project, Students have to design and make the garments and create concept window to display their garments. 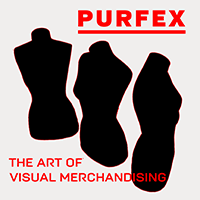 Purfex supplies a voucher for $1000 worth of Purfex product as the first prize because we are interested in supporting the NZ fashion designers of the future! 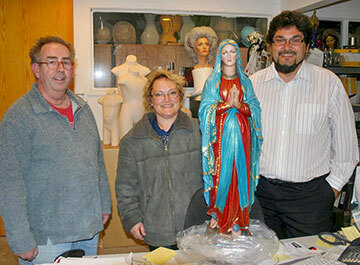 Happy customers Michael & Rebecca Loretz coming to pick up their Holy Mother. Purfex make a range of hand crafted, hand painted catholic statues… Michael and Rebecca specified the colours they wanted and our master painter Klaus hand painted the surface. Unanimous opinion is that he has done an outstanding job. 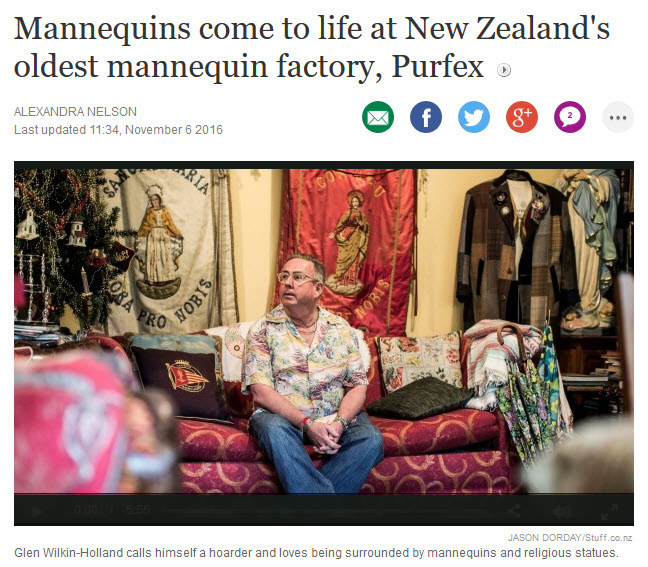 Purfex factory is the go to place for high quality mannequins and this year marks the closure of their Avondale factory and relocation after 75 years in the business. Over the years they’ve helped to launch many careers due to their fine craftsmanship; high profile contemporary artists, fashionistas, and fashion students. In recognition of this contribution Lopdell House Gallery and New Lynn shopping district are hosting an exhibition, Art Trail and a charity auction from March 9 – April 6th. 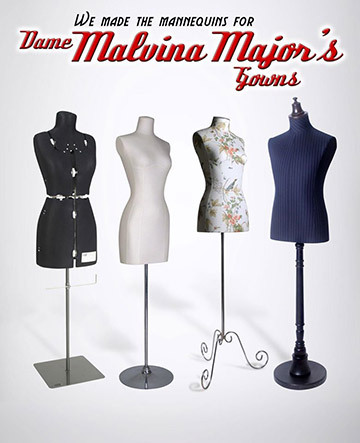 Purfex has made the mannequins for the ‘Dame Malvina Major Gown Exhibition’ at Kirkcaldie and Stains, Wellington opening on the 15 June. New Zealand designers Liz Mitchell / Richard Holden / Molyneux have been favourites of Dame Malvina as they understood the requirements of gowns which need to be visually stunning but practical and support the singer in performance. These designs along with beautiful gowns designed in Paris and the USA are part of this collection. 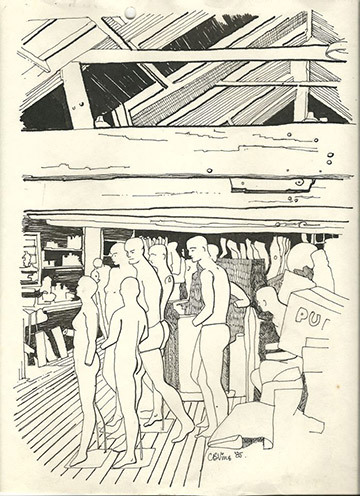 A sketch of the Purfex mannequin factory done in 1985 by inimitable and highly entertaining well known bon vivant, conservation architect and artist Christopher Vine. He has lived in Nelson since 1964 and is a potter, a former newspaper columnist, and writer and illustrator of the book Nelson Observed.